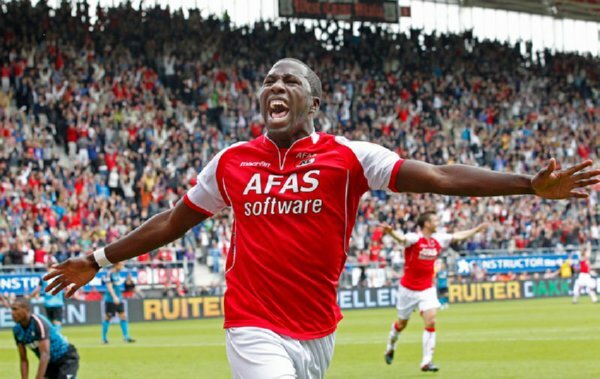 We’re sad to say that AZ Almaar’s 5-0 walloping of Den Bosch in the Dutch Cup last night was marred by racist chanting from the Den Bosch fans, aimed pretty much specifically at AZ’s American striker Jozy Altidore. The chanting arose in the first half with the referee calling a halt to the game there and then, but Altidore requested that official not let the small contingent of slobbering morons ruin the evening for everyone else and that play should be allowed to continue. “It’s disappointing these things still happen in this time we’re in, but what are you going to do? You just hope that these people can improve themselves. You pray for them. “It’s a bit disappointing. You would hope that we as humanity we can grow from these kind of times but at the end of the day, it’s still alive, racism. All we can do is try to educate ourselves, and try to raise young kids to be better than that. Though you can hardly begrudge Kevin Prince Boateng for simply marching off the field under similar circumstances, Altidore’s reaction is so much more level-headed and poignant: show the troglodytes that they’re not effecting you in the slightest. @Chris, is this response more level headed just because he decided to put up with this nonsense? Just because his actions can’t be misconstrued as anger doesn’t equate anymore level headed-ness than Boateng surely? Are you saying that Boateng was probably better to put up with it and say something afterwards rather than walk off the pitch? By the way, I’m not angry with your comments, just curious. @Andrew: Just that KPB’s reaction was highly emotional, visibly showing that the racist abuse had upset him as intended. Altidore didn’t let it faze him, ignored it and immediately robbed the abuse of its venom. They should be docked points as a punishment. That should stop it pretty quickly. Very well said, Chris. As an American footballer, football fan and avid fanatic, it is very hard to really come to grips with such things, as I don’t recall much of these types of “abuse” cases happening here in the States (plenty of fan-to-player banter occurs, just not at the racist levels I see all the time in the European leagues). Altidore is certainly a FRUSTRATING player for the USMNT, as his form for AZ has not quite translated to Klinsmann’s side; but this type of character and behavior is exactly what we need. Well played Jozy, I believe that peno gave him the hat trick on the night?? You can’t say “you can hardly begrudge” and then call someone else’s reaction “level-headed” while not appearing critical of the former. i know this b/c my wife calls it out every time i try to apologize. We have a long tradition in America of ignoring morons like this. Jackie Robinson and Hank Aaron had to put up with awful, terrible treatment during their baseball careers. They knew, though, that if they let those things get to them even once, the morons would win. I agree that you can understand why players like Eto’o and Boateng would march off the field at the sound of monkey chants, but if you show the crowd that they get to you surely you’re giving them incentive to do it.